Watsa, born in 1950 in Hyderabad, and trained as a chemical engineer, has a public profile that has at times bordered on the reclusive since he took over Fairfax in 1985. 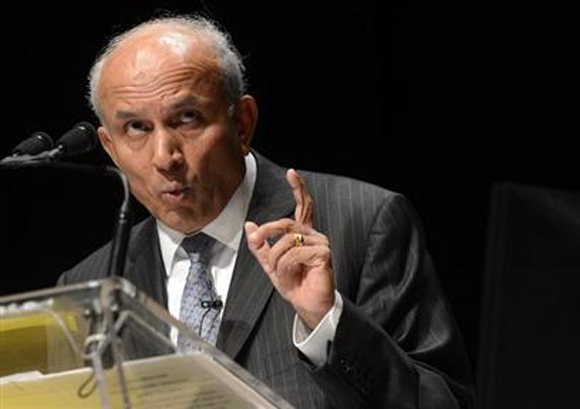 As soon as Prem Watsa stepped down from Blackberry's board in August, speculation that he would launch a bid for the troubled smartphone maker started to swirl. Six weeks later, the man some call Canada's Warren Buffett has delivered, beginning a rescue project he once said could take four or five years. Just over a year ago, Watsa said BlackBerry was a "Canadian success story," a good buy and a likely turnaround story even though its market share was tumbling. BlackBerry's fortunes have only deteriorated since then, with the latest blow coming on Friday, when Blackberry said it would cut more than a third of its workforce as it retreats from the consumer market in favor of its traditional strength serving businesses and governments. But Watsa, chief executive of Fairfax Financial Holding Ltd, which is the top BlackBerry shareholder, is an old hand at looking wrong today and right tomorrow. On Monday, BlackBerry said it agreed to be acquired by a consortium led by Fairfax for $4.7 billion, a move observers said could allow the company to put its house back in order out of the public eye. 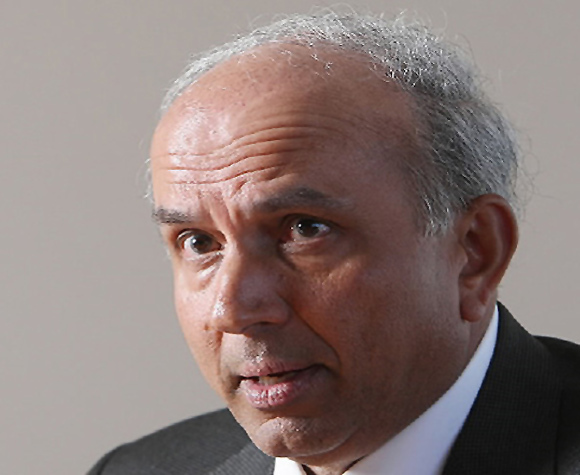 Fairfax, both an insurance holding company and Watsa's investment vehicle, was on the losing end of bets against the market in the mid 2000s as Watsa waited for the US mortgage industry to collapse. The company's stock fell by 50 per cent between mid-2003 and mid-2006 as Watsa's purchases of credit default swaps flattened profits, while rivals feasted on a housing-fed bull market. But when the market began to weaken in 2007, Fairfax began notching up investment gains, pulling in billion-dollar profits in 2007 and 2008. Then with markets still reeling and other investors licking their wounds, Watsa started to plow money back into equities, bringing another strong year in 2009. Since their 2006 low of C$100, Fairfax's shares have more than quadrupled. Indeed, Watsa had already shown his investment chops by selling stock ahead of the 1987 stock market crash and buying Japanese puts - or rights to sell stocks at guaranteed prices - ahead of the Tokyo market's collapse in 1990. Like the billionaire Buffett, an investor Watsa says he admires, Watsa preaches a long view that suggests it may be too early to assess his decision to buy into BlackBerry. As it sits now, BlackBerry has not been a turnaround story under Watsa's watch. Since January 2012, a period when Fairfax has raised its stake in the company from a little more than 2 per cent to just under 10 per cent, BlackBerry's share price has slumped. "Prem invests for the long term," Paul Holden, an analyst at CIBC World Markets who follows Fairfax, said earlier this year. "He's held his major stake now for what I would say is a fairly short period of time relative to his investment horizon, so I would say it's probably too early to put any score on that investment." Watsa stepped down from the BlackBerry board of directors in August, citing a potential conflict of interest, as the company said it was exploring the sale of itself and other options. Watsa, who was born in 1950 in Hyderabad, India, and trained as a chemical engineer, has a public profile that has at times bordered on the reclusive since he took over Fairfax in 1985. For his first 15 years at the company, he barely spoke to a reporter, and he only started holding investor conference calls in 2001. 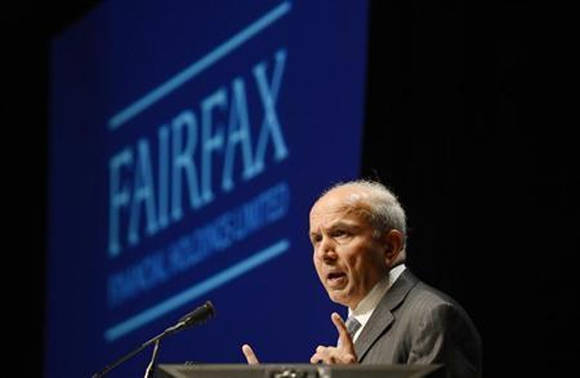 Fairfax has generally not been known as an activist investor, but Watsa has not shied away from a fight, launching a $6 billion lawsuit against a group of hedge funds in 2006, accusing them of conspiring to the drive the company's shares down so they could be shorted. A short position enables an investor to profit when a stock drops. To be sure, not all Watsa's moves have been golden. Fairfax had to write off most its investment in Winnipeg-based media company Canwest in 2009 as the company filed for bankruptcy protection. 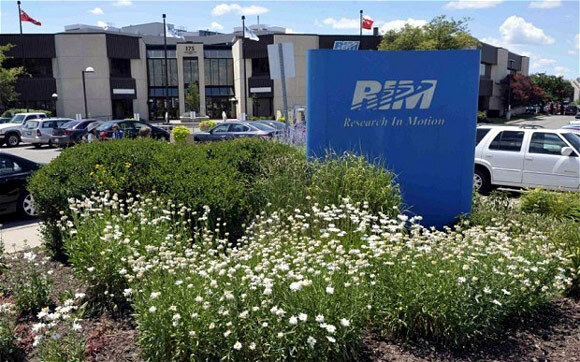 It also wrote down a significant investment in publisher Torstar in 2008-09 and took losses on its holding of forestry company Abitibi Bowater. 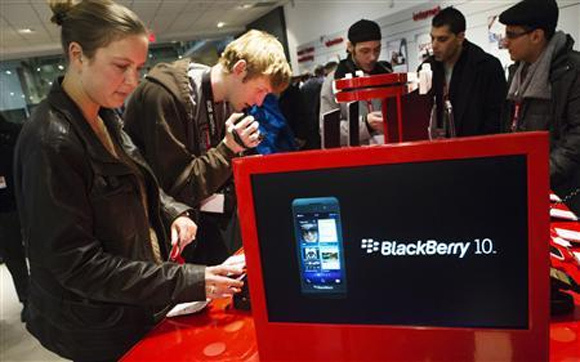 Speaking last year, Watsa suggested investors looking for a short-term rebound in BlackBerry might be disappointed. "Is it going to turn around in three months, six months, nine months? No," he told reporters. "But if you're looking four, five years ... We make investments over four or five years." 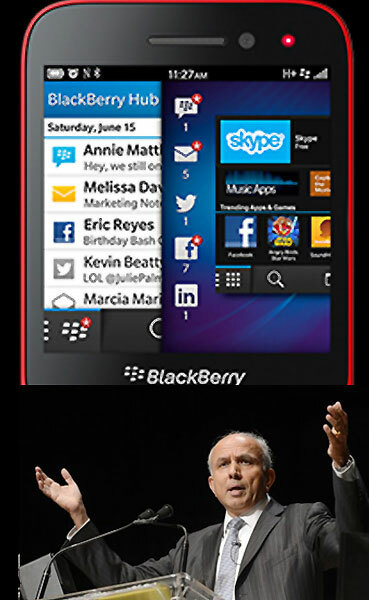 Image: People view the new Blackberry Z10 device at a Rogers store in Toronto. How good is BlackBerry Q5?